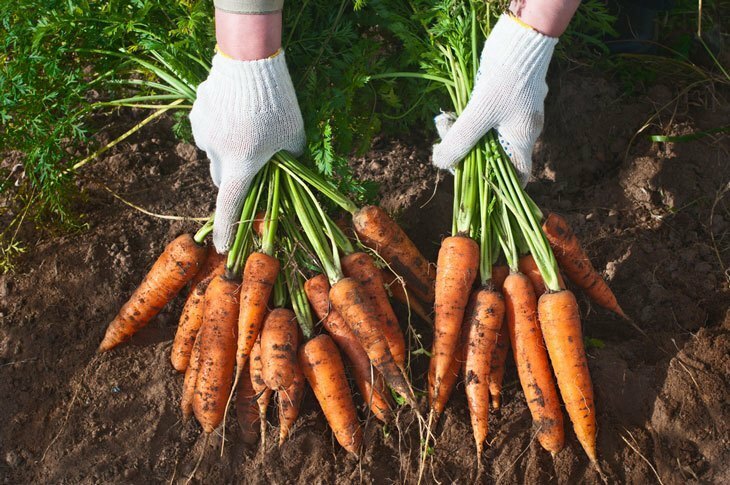 5 Unique Ways to Know When are Carrots Ready to Pick. Have you experienced harvesting your carrots that aren't yet ready? If you have, then you might want to know when’s the right time to harvest your carrots. There are actually signs that you need to look out for if you want to harvest them right. These signs will help you become a better farmer. 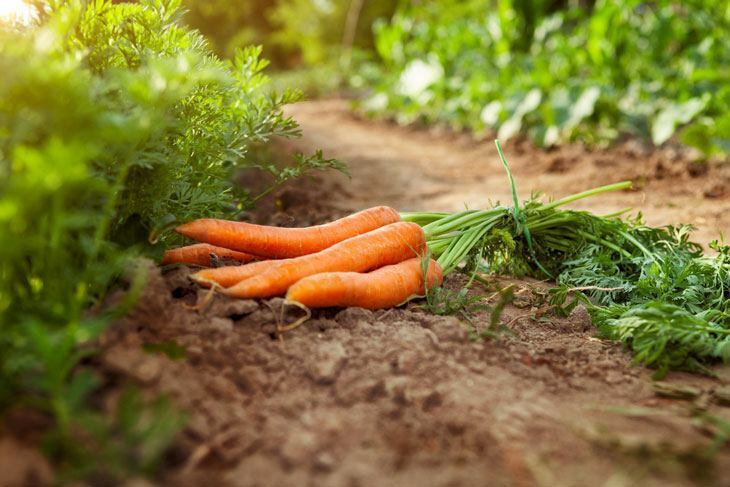 In this article, we will explore 5 unique ways to know when are carrots ready to pick. We made this article in hopes that could help fellow farmers like you. To know when is the right time to harvest your crops. And to know when is not the right time to harvest them. This topic is important to learn because there are a lot of crops getting wasted every day. This is due to the lack of knowledge when it comes to harvesting crops. We put together this article to help you decide when’s the right time to harvest your crops. The information what we will be sharing with you will prove useful for years to come. When is the Best time to Harvest ? Carrots that are ready to be harvested are easy to spot. But if you’re having trouble spotting the right one, this guide will help you. All you need to do is to look for these signs and you’re good to go. Keep in mind that these signs are not exclusive for carrots alone. You could actually use this for other crops. The first method in our list is checking the planting season. This method involves listing the dates on when you planted the carrots. And determining the harvest time by the planting season. This will give you a window of opportunity to know when you'll harvest your carrots. To start, check the date when you planted your carrots. The next step is to count 2-4 months after planting the carrots. This is because it will take 2-3 months before your carrots will be ready to pick. From then on, chart the day when you planted the crop then follow the month of harvesting. The next sign that you need to spot is the texture of the carrot. This method of identifying carrots is a bit tricky because you’ll need to dig up a portion of the carrot. This is to accurately check the texture of the carrot and not just its head. A carrot that’s ready to pick has a tender texture not only on its head but to the body as well. This technique is easy to do and easy to master. We suggest that you try this method first before anything else. This approach is easier compared to the other methods on this list. Another method that you can try is by checking the color of the carrot. 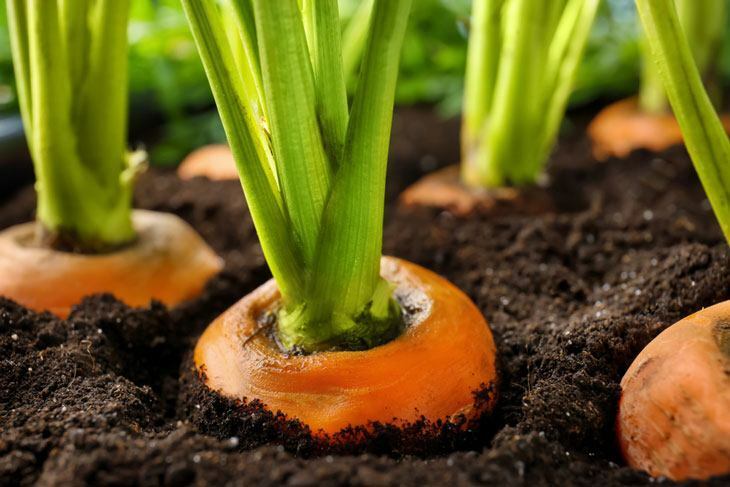 You might be thinking that carrots grow only in orange color. 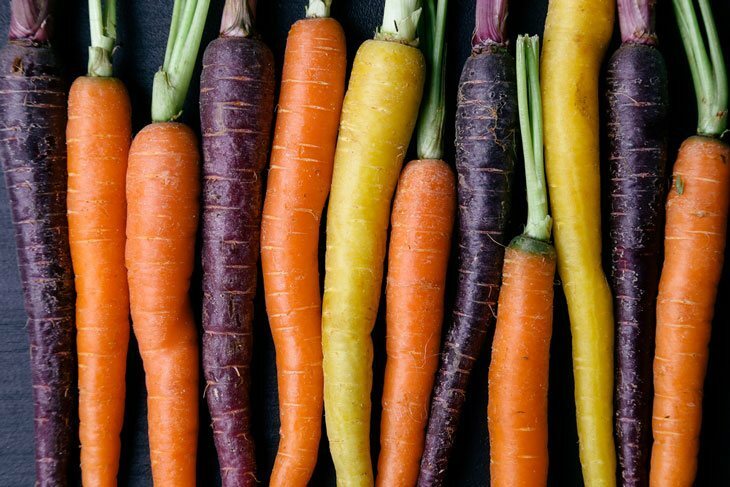 This might be true for the most part but carrots actually have different shades of orange. This method might be tricky to pull off. But if you manage to master it, it will be easy for you to spot a ripe carrot. When looking for signs of a ripe carrot. All you need to do is to compare the color of a ripe carrot of your variety. To the one that you’re currently growing to know if the carrot that you’re growing has the same color. This will give you an idea of what to harvest and what not to pick up. One method that you can try is by checking the length of the carrot. A ripe carrot or a carrot that’s ready to pick has a specific length. This length, however, varies depending on the type of carrots that you grow. In which case, we will be teaching you the length of the regular breed of carrots. The regular length of a ripe carrot is ¾ inch. This could even go up to an inch in length depending on the health of the carrot. To tell whether the carrot can be harvested, just check the length of the carrots. If you happen to grow baby carrots, the ideal length is ½ inch. This unorthodox method of checking if the carrots are ready to pick is rarely used. Although it’s rarely used, this method still has some basis to its use. One sign that you need to check is the color of its leaves. Different carrots have a different type of leaves. And some of the leaves of this type show that it’s ready to harvest. For example, a regular breed of carrots when ripe has hard and greener leaves. As compared to a carrot that’s not yet ripe. Some varieties also include leaves that turn hard when the carrot is ripe. This method might not be accurate for most varieties, it still works for some. Carrots have a right time to harvest them. The best time to harvest them depends on the type of carrot that you’re growing. This guide will cover regular carrots that you grow in your garden. We will also cover the best time to harvest baby carrots. For regular carrots, the best time to harvest them is 60 days. This is after the first sapling has sprouted. In this stage, the carrot should have grown to its optimal size. Following its size, the taste, texture, and nutrients should be also optimal. For baby carrots, the ideal time to harvest them should be 30 to 50 days. This is after the first sapling has sprouted. Baby carrots have a shorter harvesting day compared to regular carrots. These are just some of the best times to harvest carrots. 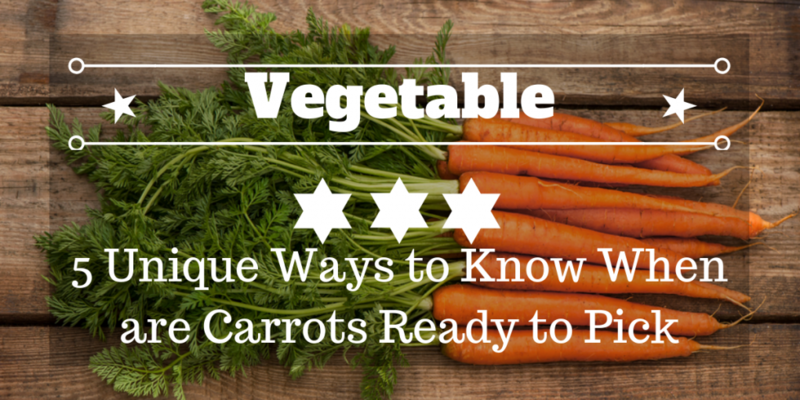 There are different ways and signs to know when a carrot is ready to pick. You just need to be keen in observing the various changes in your carrot. These are just some of the signs that you need to look out for. So if you’re planning on planting carrots, these are the signs that you need to look for. Please post your questions in the comment section below. To give you a summary of how to know when are carrots ready to pick. Here’s what you need to do.